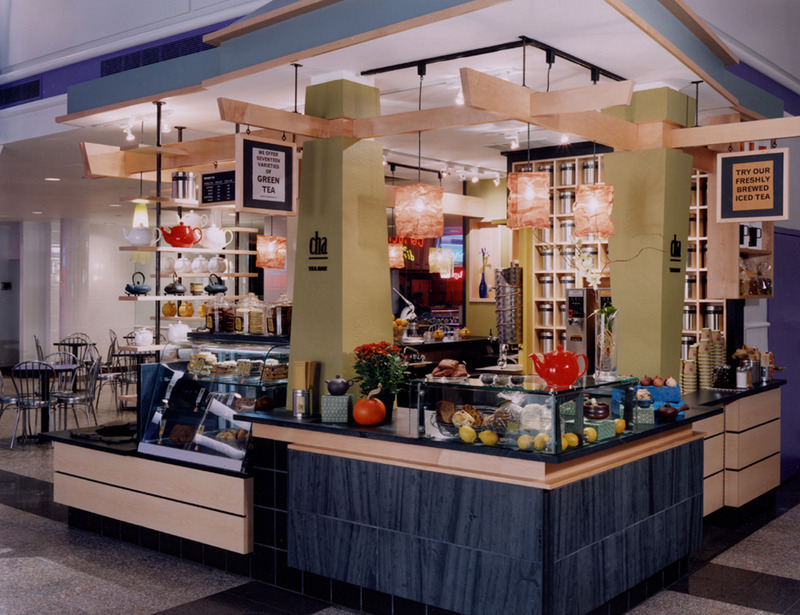 The challenge for this tea bar and retail store was multi-faceted: Create a serene escape where patrons can relax to enjoy fine teas and purchase tea products – all in a compact, 125 square foot corner in a crowded food court. 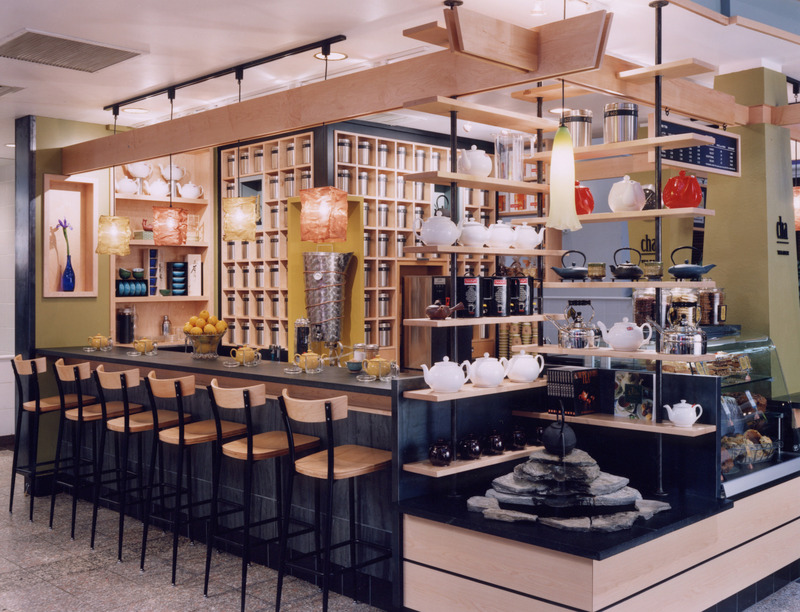 The design for Cha succeeds with a subtle force that commands attention by speaking softly. Elegant simplicity is reinforced through the use of natural materials and an open, airy framework with echoes of eastern aesthetics. The teapot water fountain, created specifically for the space, lends a quiet sensuality. Experience and brand come together in a seamless whole that demands recognition.